Journey through history with Lady Liberty in letters educating her of America’s past, present, and future. Written by a mother who wants to preserve liberty and freedom for her daughter. 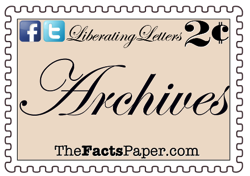 Go to ARCHIVES for more letters.